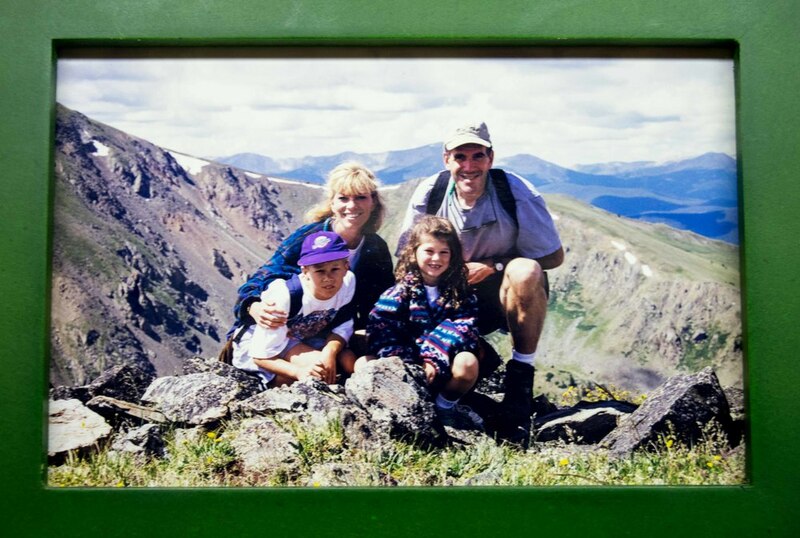 In our home, I prominently display a plaque with a photo below it of our younger family backdropped by mountains and crystal-blue Colorado sky. I bought the sign to mark this snapshot moment and stop our holding-pattern life. But my husband and I returned home to habitual joy-postponing. I was tempted to give it to someone who would obey its command. Why did we always put off joy? “Once I’m out of medical school, then we can start living. No, wait. After internship. . . . residency. . . .fellowship." “Once we pay off our debt, then we can relax." Why couldn’t we stop waiting and enjoy present-moment living? Perhaps I thought I’d get brownie points from God or noticed by others for being the good “martyr” wife. People kept living without noticing my sacrificial waiting through my husband’s stints in medical school, internship, surgical residencies and fellowships. We dutifully memorized Scripture verses about taking up your cross, running with endurance, keeping your hand to the plow. We passed over the verses about God’s invitations to joy and rest. It was our job to work hard to give grace—the undeserved favor and gift of God—to others but not receive it ourselves. Because if we opened ourselves to joy, well, there could be . . . dancing. And then how would we ever get back to the real grind of work? What does postponed joy look like? My parents recently downsized to a smaller home in a retirement community, still independent but without the burden of cooking or home maintenance. Thrifty and responsible all their lives, they financially prepared for this. But they couldn’t break their “delay and save” habit. They could not throw away the old towels and use the new ones (purchased in the 1980’s). So trained to eat their leftovers first, the fresh food they were paying for monthly became the never-ending stale leftovers. I realized I was doing the same thing—stuck in a holding-and-hoarding pattern from years of waiting. I hadn’t put up curtains in the house we’d lived in for 12 years—because you never know when you may move again. Unopened wedding gifts were stacked in our attic, even though our kids were getting close to marriageable age. Before I could change my mind, I called friends who had no problem spending my money. Friends with taste who knew how to find deals helped me decorate our house and made me throw or give away those old wedding gifts. What does living with joy feel like? Living with joy feels vulnerable, foolish and unspiritual—storing up seems saintly. But what does Jesus call the hoarder who saved for many years? Fool! This night your soul is required of you, and the things you have prepared, whose will they be? Where this man had been amassing riches, we had been accumulating delayed joy and full-out living. The prophet Jeremiah tells the exiled Israelites to make their home in Babylon and seek the shalom (welfare, peace, restoration) of the city. As they settle in—even temporarily—and live fully, their joy and peace will overflow to the people and place they live. It's time to stop waiting to be rescued from what life has handed you. Settle in right now, right where you are, and live. To live life to the full—even in a land of exile or residency training or personal failure—means believing that God won’t cut off the flow of joy. Joy is not a Starbucks’ mocha frappe gulped and gone forever—one cup per person per life, so sip sparingly. It is the river of living water, the chocolate fountain at the wedding feast, the grapevine with never-ending joy flowing into those who abide. Joy enjoys the snapshot moments instead of waiting to lose five pounds before getting in front of the camera. 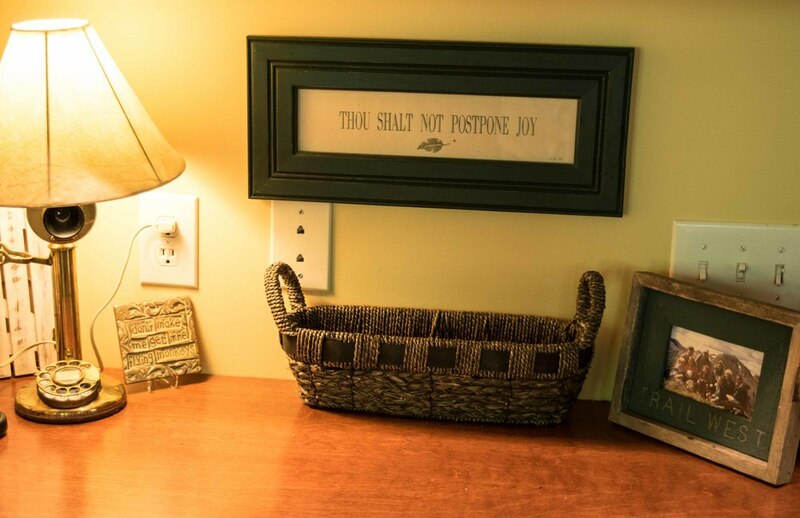 Thou Shalt Not Postpone Joy isn’t about home decorating, but living fully in this broken world without waiting. It’s a fling-your-arms-out faith that sees the wildflowers in the weeds. If it makes you feel less guilty, it’s a command. Glorify God and enjoy Him—and the life he has given you—now and forever.